After a good macro lens the next optic many herp photographers will want to add is a telephoto. Turtles sunning on logs or wary lizards absolutely require one most of the time. 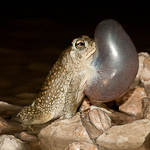 In addition to providing the extra reach needed for difficult to approach herps telephotos have some visual attributes that you may wish to take advantage of with virtually any herp. Because of their narrow angle of view telephotos appear to compress perspective. In other words, they make objects appear to be closer together than they would appear to be with shorter lenses. 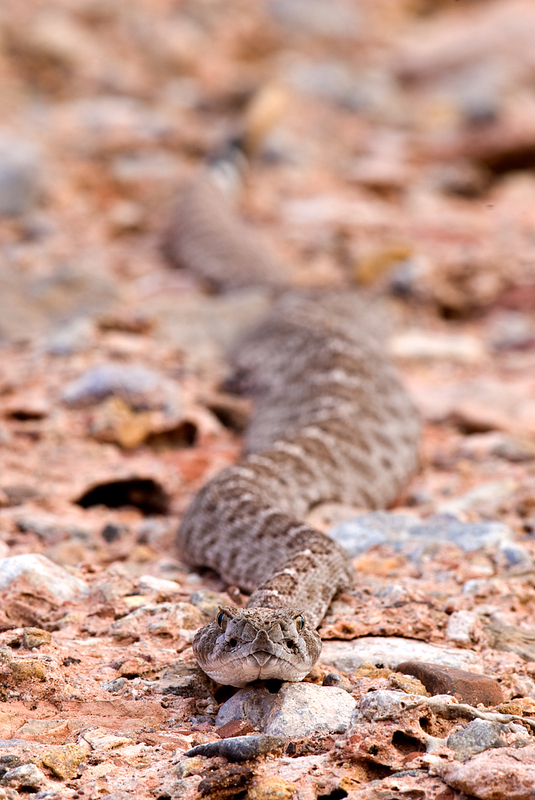 Their narrow angle of view and shallow depth of field also allows one to use them to isolate a herp against a uniformly colored and toned background. 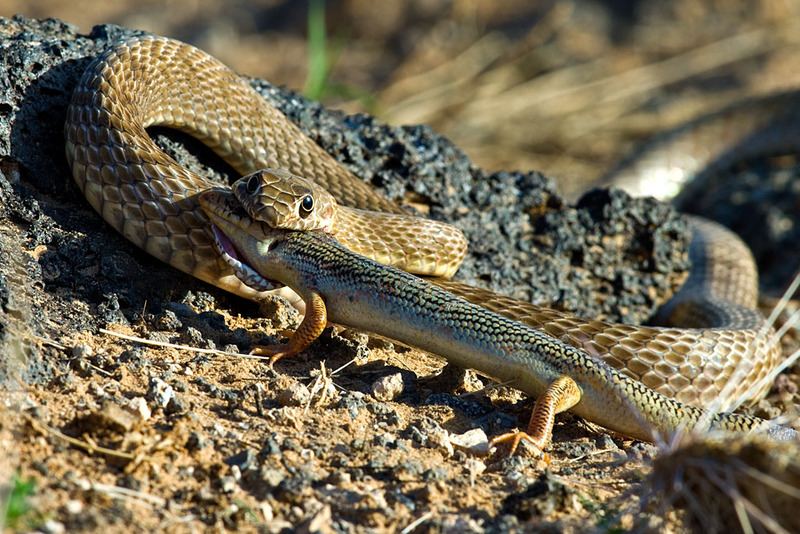 There are several important features to consider when looking for a telephoto lens for herp work. It needs to be sharp, after all you want to be able to resolve all the texture and detail in a lizard’s scales. It needs to be relatively lightweight, remember you may be lugging this around for miles and hours at a time in the field. It needs to focus close, you might be amazed at just how close you need to be to fill the frame with some of the smaller lizards, even when using a long lens. (There are work a rounds for lack of close focus though, that I’ll discuss later). And I think it needs a tripod collar, using a telephoto lens is a whole different ball game compared to using shorter lenses and you definitely will need to learn and practice good long lens technique, including using a good tripod. Nikon users have available to them an excellent lens that meets all four of these criteria- the Nikkor 300mm f4 AF-S. I think I probably use this lens about as often as I do my 70-180 micro, and together they account for about 80% of the herp shots I take. The 300mm f4 AFS has been in Nikon’s lineup for about twelve years now. It has an AFS motor, so it will autofocus on all of Nikon’s digital SLRs, even the entry level ones like the D3100 and D5100. The lens uses internal focusing to go from infinity to about 1.5 meters minimum focusing distance. At MFD the magnification is between ¼ and 1/3 life size, which is essentially a frame filling photo of something the size of a Uta or Urosaurus. While the lens is new enough to have AFS, it is old enough to still have an aperture ring which means it will work just fine on manual focus film bodies or with manual focus accessories, like Nikon’s extension tubes, (presuming your DSLR will work with those, of course). Auto focus is silent and quick. The lens features a focus range limit switch, but I never use it. It also has a switch to choose manual only focus (M), or manual and autofocus at the same time (M/A). I always leave mine on the M/A setting. The reason I never use the M setting is because I leave my camera set to AF-C, (continuous autofocus) and I have autofocus disabled on my shutter release button. If I want to autofocus I just press the AF-on button, (located on the back of the camera), with my thumb. Once focus is achieved I remove my thumb and focus stays locked. If I need to track focus on a moving subject I just keep my thumb on the AF-on button and use my index finger to trip the shutter when ever I want to. If I want manual focus I just don’t ever press the AF-on button and use the focusing ring on the lens to focus. Being able to work like this is the main selling point for AFS lenses as far as I’m concerned, (the faster and quieter AF is nice too). Manual focusing is the one area where I’ll have to fault the 300 f4 AFS. The manual-focusing ring has too short a throw and too little dampening which combined with the less than ideal viewfinders on DSLRs makes this a hard lens to focus accurately using MF. The good news is that autofocus is very accurate and precise with this lens, so that’s what I use about 99% of the time. The 300mm f4 AFS is about nine inches long and weighs a little over three pounds. While that is certainly bigger and heavier than a 70-300 zoom, its still quite manageable to carry in the field and the performance advantages over a consumer grade zoom going out to 300mm definitely makes the small increase in size and weight worth while. If you are shooting a DX format camera this lens will have a field of view equivalent to a 450mm lens on full frame, so compare it to the size and weight of something like a 400mm f3.5 or 500mm f4 and it will seam downright small. The lens comes with a rotating and removable tripod collar. A lot has been written online about how poor a design the Nikon collar for this lens is. The gist of what’s been discussed seems to be that the collar is too high and the material it’s made of lacks rigidity, such that the collar allows the camera and lens to vibrate at shutter speeds between ½ and 1/30 second or so. I can’t personally speak to the issue of whether or not the Nikon collar is inadequate. I purchased my 300 f4 AFS used and it did not come with a collar. I bought the Kirk Enterprises replacement tripod collar for the lens that has a lower profile than the Nikon collar and provides two-point support for the lens. I can tell you that the lens is very solid at any shutter speed when the Kirk collar is locked down tight. The optics of this lens are incredible! It is tack sharp, even wide open. It gets even better at f5.6 to 8. If you pixel peak, you’ll notice a slight drop off in sharpness at f11 and another, more noticeable one at f16. I generally avoid shooting it at anything smaller than f11. I’ve never shot mine with a teleconverter, but it is reported to work really well with Nikon’s 1.4x, pretty well with the 1.7x, and poorly with the 2x. I think the lens is slightly less sharp when used near minimum focusing distance for herps, than when used at greater distances for birds and mammals, but we are talking degrees of excellence here. I’ll often end up shooting the same herp with both the 300 f4 AFS and the 70-180 micro and if I look really closely sometimes I can tell the 70-180 shots are a bit sharper, but only a bit! The single most useful feature of this lens is its minimum focusing distance of just under 1.5 meters. At this distance the magnification is just over ¼ life size, more than adequate for most lizards. I do occasionally need for it to focus just a little closer though and I’ve tried two different methods to achieve that. The first is with the use of a low power diopter. I use the Pentax T132 diopter, which is a two-element design with a power of .7 diopters. The way that diopters work is that they make any lens you add them to focus at one meter, (measured from the front of the lens), divided by the power of the diopter, when the lens is set to infinity. With the T132 this works out to about 1.4 meters, which is close to the lens’s minimum focusing distance when used on its own. Magnification here is about 1/5 life size. 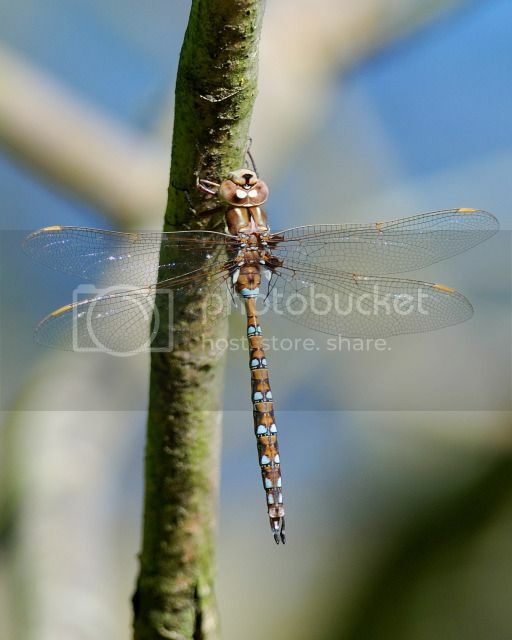 From there the combination can focus closer to a minimum focusing distance of 58 centimeters from the front of the lens and a magnification of about ½ life size. Optically the combination is very good at f8 or f11. There is a lot of color fringing at f4 and f5.6 when the diopter is used, so I avoid those f-stops. There also might be some vignetting with the diopter on full frame cameras since it is 67mm, while the 300 f4 AFS has a filter size of 77mm. There is no vignetting on DX however. The other method I’ve just started using to get the lens to focus a little closer is to use an extension tube. Nikon made a 27.5mm extension tube (PK-13) and a 52.5mm tube (PN-11) either of which would be just about right for this lens. Unfortunately the Nikon tubes are not only discontinued, but they have no electronic contacts so they will only work fully with cameras that are designed to meter with manual focus lenses and of course the lens will no longer autofocus on any camera. Since I find it difficult to manually focus this lens I opted to use a Kenko 36mm extension tube, which does allow autofocus as well as metering on any Nikon. With the 36mm extension tube and the lens focused at infinity the working distance is about three meters and the magnification should be about 1/8 life size, (300mm/36mm). With the lens racked out to its MFD working distance is about 79cm and magnification is about ½ life size. This is actually a very useful range of focusing distances and magnification for in situ lizard photos. At f8 or f11 I don’t really see any difference in optical quality between the diopter and the tube, but the tube is definitely much better at larger apertures. Tubes are also going to be easier to find than a high quality, low powered diopter. The only two-element diopter I am aware of that is still available new is the Canon 500D and at +2 diopters it is going to force you to be closer (1/2 meter from the front of the lens at the furthest) than you really want to be in many cases. The advantage of the diopter is that it is more convenient to take on and off, (since you don’t have to dismount the lens) and I find the autofocus works much faster with the diopter than with the tube. For photographers on a budget there is a cheaper alternative available used and that is the original Nikon 300mm f4 AF. It lacks an AFS motor and only focuses to about 2.5 meters, but extension tubes can get you the additional close focus you need for lizards which is the way I used it back when I shot film. The older lens has a really good built in tripod collar and I think it is every bit as sharp as the current one. When I was looking to buy the 300 f4 AFS I was also seriously considering the Nikon 80-400vr. From my point of view the 300 f4 AFS had the advantage of closer MFD, (the 80-400vr only goes to 2.5 meters) while the 80-400vr has the advantage of being a zoom. I really do prefer working with zooms, but I figured for lizards close focus was more important than being able to zoom. I must admit however, that there is not a day that goes by using this lens in the field that I don’t wish it were a zoom. However, I’m sure if I had bought the 80-400vr there would not be a day that would go by using it in the field when I didn’t wish it focused a bit closer, (extension tubes are not really very convenient on zooms by the way because anything more than a very slight change in focal length causes a large change in focusing distance). All in all the 300 f4 AFS is a great choice for us Nikon toting lizard shooters. So back when I wrote this review I had never tried the 300mm f4 AFS on a teleconverter. With winter closing in, herp season coming to an end, and bird season arriving I decided to buy a teleconverter to get a little more reach out of this lens. Online reviews were positive for both the TC14e and TC17e converters. Since reach was what I was going for I decided to opt for the TC17e, which increases the focal length to 500mm while slowing the maximum aperture down to f6.7. 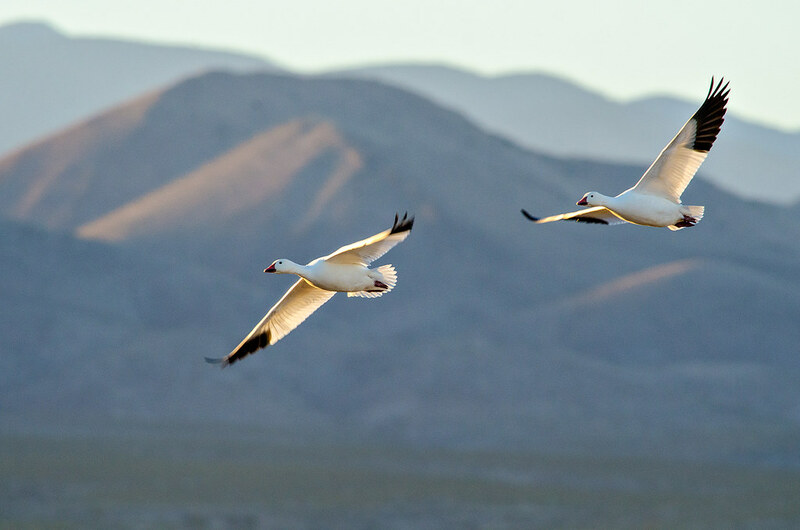 I’ve taken the combination down to Bosque del Apache on several occasions now and have shot a few hundred pictures with it. Bottom line is- I don’t think I’m going to keep the converter. I have yet to get a sharp picture with the combination at f6.7. Stopping down 1/2 stop to f8 improves sharpness significantly, but it is still just acceptable, not great, in my opinion. Going down any smaller than f8 is really not practical for bird photography, so I don’t know or care how it performs at f11. Using the teleconverter with strongly backlit subjects results in veiling flare, that not only robs the pictures of contrast, but also seems to make it impossible for the camera to accurately auto focus. In bright light with a large, high contrast subject AF does work however. 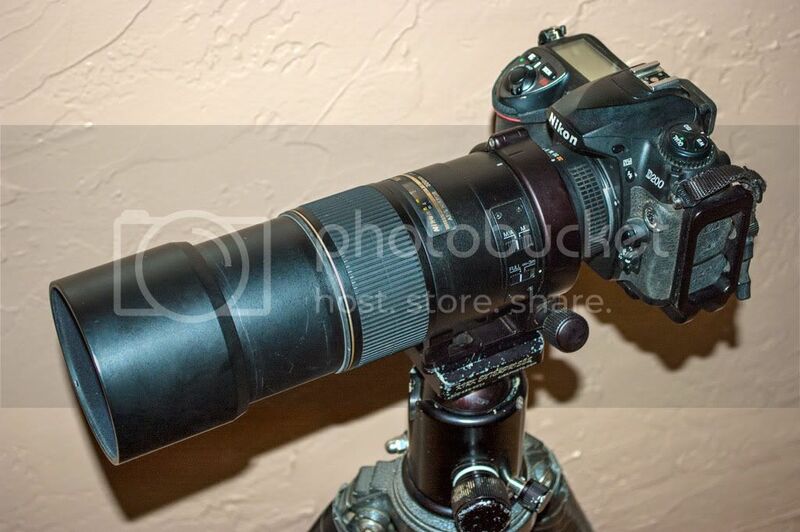 There are just too many things going against you when you use this teleconverter on the 300mm f4 to photograph birds. The best light for bird photos occurs early or late in the day, so the level is usually pretty low. More often than not my camera’s ISO is at 800 with this lens, (which is really the limit as far as I’m concerned for acceptable noise levels, and even then only if you nail exposure, any underexposure at all and the picture is destined for the trash can). Birds move a lot, requiring high shutter speeds and fast autofocus. Combine all this with a 15x (on DX) lens, that really isn’t sharp until f8 and you’ve really you really got your work cut out for you to try and get good pictures. 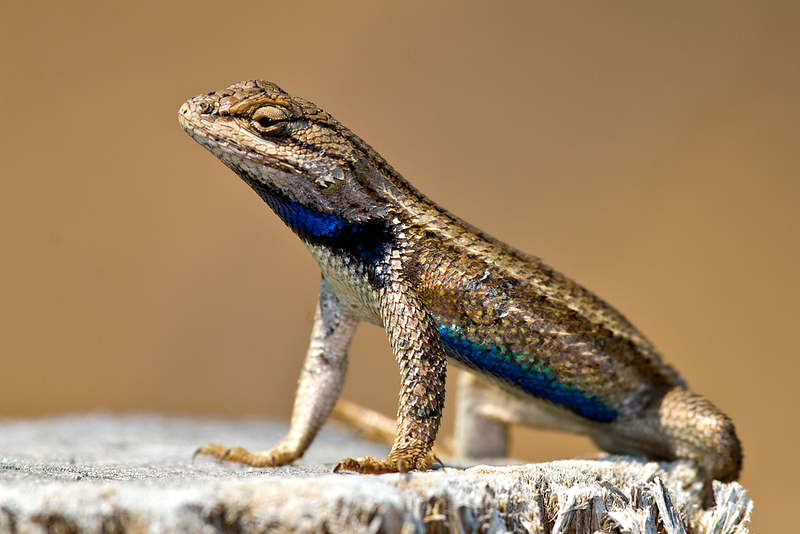 The converter might perform better for lizards, where you have bright light and a relatively stationary subject allowing you to lock down all the controls on the tripod and stop well down. I may or may not keep the converter until spring to see how it performs when used in that way. For now though I would advise anyone looking for a converter for this lens to stick with the TC14e. That was one of the best reviews I've read in awhile. As a Nikon user, I might just have to go look for one of those. Your pic of the Scelop is beautiful! Great review. A pro-level 300 f/4 lens is a great wildlife lens and every aspiring herp/nature photographer should want one. They are probably the most cost effective pro wildlife lenses since they range from around $1100 - $1500. That's a lot of money, but a lot cheaper than a 300 f/2.8 or longer pro lenses which cost somewhere between $4K and $15K depending on length. I just thought I show the other camera maker's options in this focal length/f stop for comparison. Most camera lines have a 300 f/4 lens. They are all tack sharp and great lizard lensess. However, their close focus abilities differ. Here's the comparison. 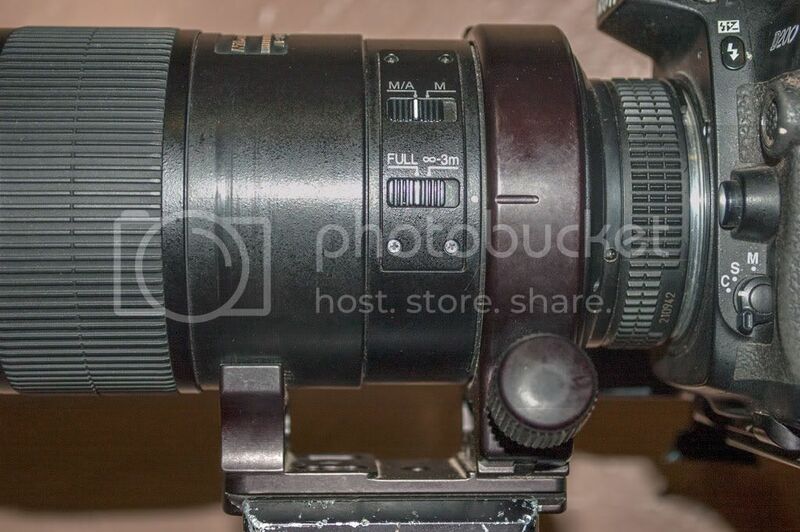 Sony doesn't make a 300 f/4 yet , but there are still some Minolta 300 f/4 G lenses around on the second hand market (although this is such an awesome lens, most people don't part with them - no you can't have mine! ). This lens doesn't focus as close as the others, but it is a 15 year old design. If/When Sony redesigns it, it will almost certainly have higher magnification capability. It's worth mentioning that image stabilization is VERY helpful at this focal length. I've been using Canon's equivalent lens, the 300/4IS, as my primary herp lens for years and the IS makes all the difference. I never shoot this lens from a tripod and rarely need to pump the ISO over 400. Shutter speeds in the 1/150 - 1/200 sec range are thus routine and still provide excellent sharpness handheld. I don't want to make this into a Nikon vs. Canon thing, but for herping I really do find the IS of the 300/4 on the Canon to be a differentiator between the two systems. I thought about discussing the lack of VR, (Nikon’s version of IS), on the 300mm f4 AFS, but ended up not doing so since the review was based on my own experience with the lens and for me VR or lack thereof is a non-issue. I will agree though, that if you insist on hand holding a 300mm lens you would be well served to get one with VR. You will definitely get sharper hand held pictures with a lens that has VR, but I believe you will get the very best possible sharpness by using a good tripod and good long lens technique. 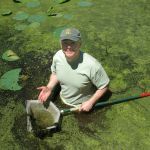 Anyone who has ever been in the field with me can vouch for the fact that I pretty much always use a tripod, not just for stability but also because I often sit and watch herps for long periods of time. Leaving the camera on the tripod takes a lot of strain of of my shaking arms. This also frees me to use any shutter speed I want to use in many cases. 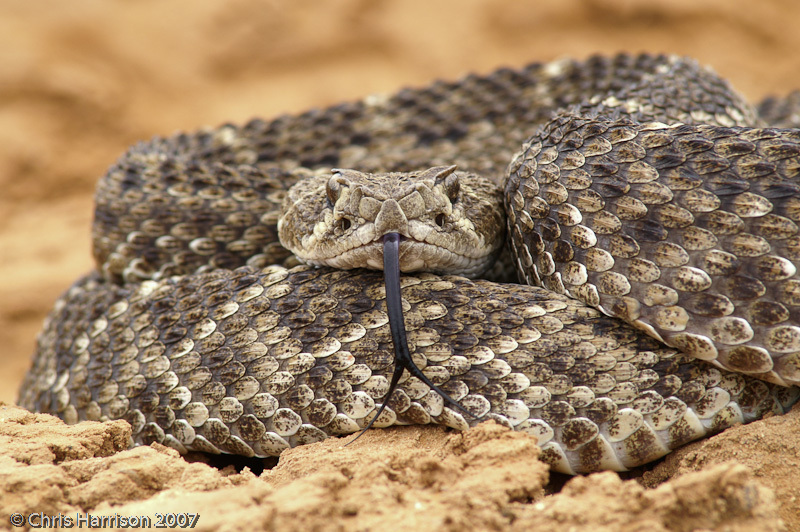 The western diamondback picture in this review for example was shot at a shutter speed of 2.2 seconds under heavily overcast skies. VR or IS would not have helped there. However, you bring up a good point for many, (most? ), herp photographers that don’t want to lug a tripod around in the field. fvachss wrote: I don't want to make this into a Nikon vs. Canon thing, but for herping I really do find the IS of the 300/4 on the Canon to be a differentiator between the two systems. If that is the case, then Sony and Pentax must be the superior systems since that have IS/VR on ALL of their lenses at no extra cost! Although IS/VR is great to have, I think the point of the review is to show what a great herper's tool the 300 f/4 lens can be. They are all good lenses, regardless of the system. For someone with Nikon gear to change systems to get a 300 f/4 with IS would be folly. With recent DSLR sensors in particular, you can shoot at ISO 800 or higher with complete confidence so IS/VR isn't as crucial as it was even 5 years ago. On top of that, I'm sure the next iteration of this Nikkor lens will have VR.